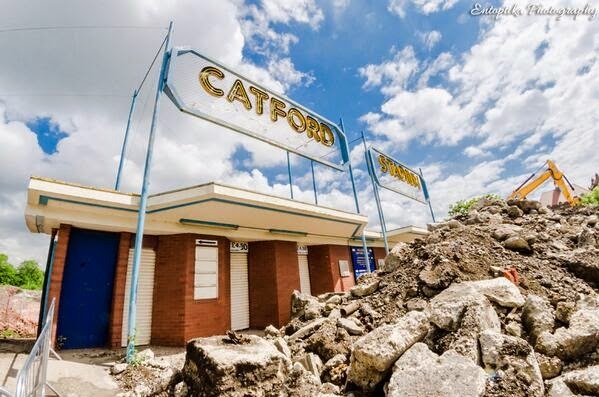 All that remains now of Catford Stadium, the former greyhound track, is a sign and its ticket office in the midst of a wasteland soon to be built on with new housing from Barratt plc. The sign is a skeleton from a lost world of 20th century working class popular culture - the stadium opened in 1932 and closed in 2003, not long after my one and only visit. 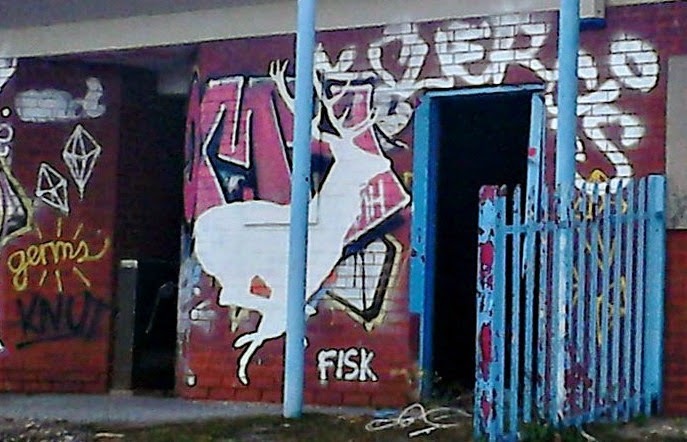 Train passengers passing the site have noticed a recent redecoration of the building - a new appearance of the famous 'Lewisham Natureman' white stag, featured here previously following various sightings in Lewisham and New Cross. You can see it from ground level from the Ladywell Fields end of the site, if you climb up on a pile of logs to peer over the fence. I couldn't get a decent photo with my phone, but Wildcornerz has obliged with these images. 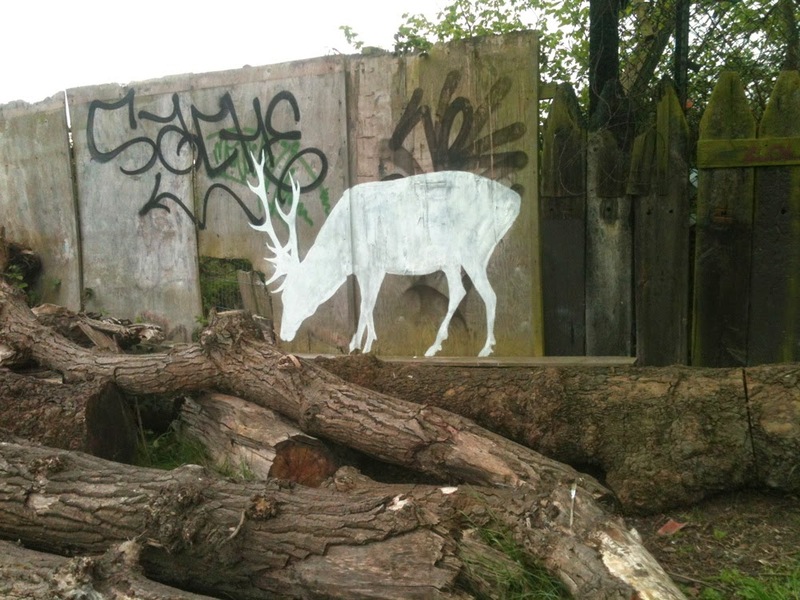 The Wildcornerz blog has been documenting the white stag and the wider Lewisham Natureman mythos for several year. 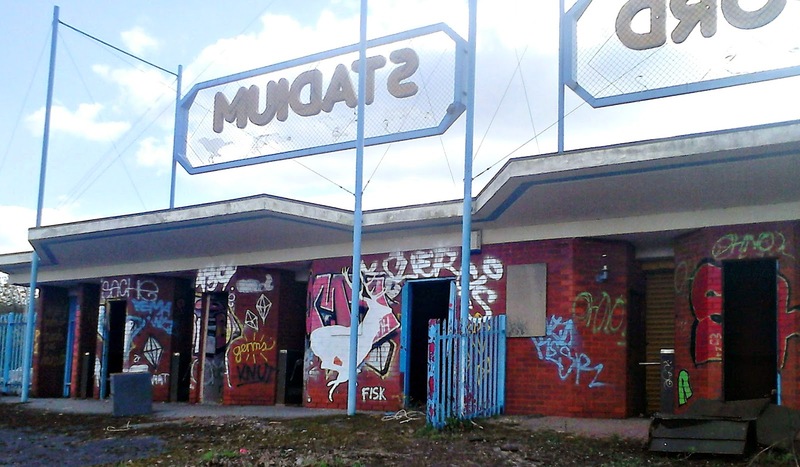 Another image of the stag appeared earlier at the back of the Catford stadium site (pictured below), though it has now vanished. It looks like the buildings at the dog track have been demolished. I hope the stadium sign gets reinstalled in time.